.... sides, lids, handles and more. A stall at the beautiful, tempting flea market in San Telmo, Buenos Aires. Be still my beating heart. 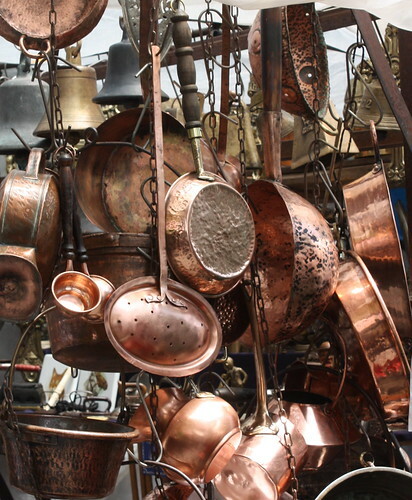 Them some gorge copper pots, yo. Thanks so much for the eye candy. Love your blog!